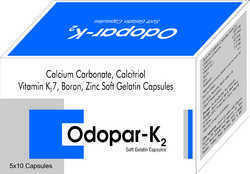 Our product range includes a wide range of calcitriol, calcium carbonate, vitamin k2 7 methylcobalamin l methylfolate, calcium carbonate boron zin, beta carotene multivitamin capsules, omega 3 fatty acids and lycopene capsules. 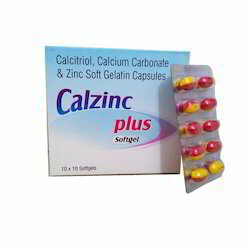 Soft Gelatin Capsules is extensively used in the market and recommended by several doctors.Prior to its dispatch the range is stringently checked and tested on various parameters to ensure its purity, efficacy and other attributes. 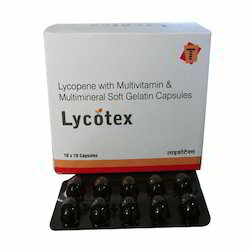 We are the manufacturers of pharmaceutical Tablets and also deals in third party or contract manufacturing services in pharmaceutical products. 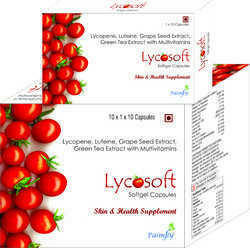 Lycopene Capsules are processed as per the set industry norms using active ingredients. 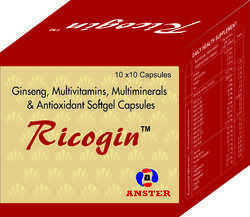 These multivitamin and multi-mineral capsules are widely recommended by medical practitioners for their effectiveness. We procure our ingredients from trusted vendors so that medicines formulated are of flawless quality. 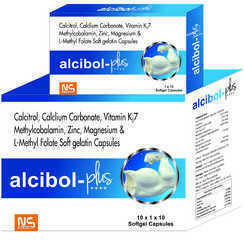 Our customers can have these capsules at affordable prices. 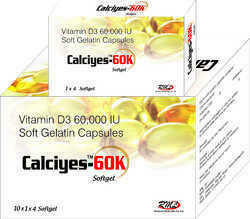 We are instrumental in offering a pure and effective range ofVitamin E Soft Gelatin Capsule. 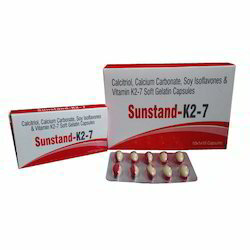 Formulated making use of accurate composition of purest form of the base chemicals, the range is widely recommended by the doctors and medical practitioners. 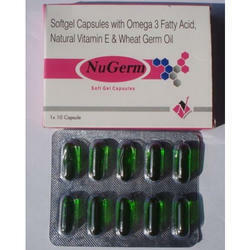 Demand of our product range is high in the market because of their nominal prices and superior in quality. 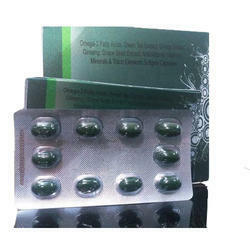 To maintain the standards of our organization, we deliver our product range using customized packaging.